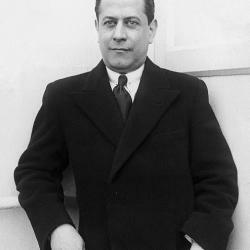 One of the greatest players of all time, José Raúl Capablanca was well known for his terrific endgame technique and quick speed of play. His technique was so flawless that he garnered the nickname “Human Chess Machine”. As an adult, he only lost 34 serious games total and had a stretch of 8 years where he didn’t lose a single game! He had an unmatched ability to look at a position briefly and come up with the best move, almost as if he was a computer. With a combination of all of these accomplishments, he towered above every other player and left a lasting legacy for all chess players to study today. José Raúl Capablanca learned to play chess when he was 4 years old. As he got a bit older, he went to school in the United States but eventually left the college in order to pursue chess full-time. He decided to do simultaneous exhibitions around the country and won an overwhelming majority of his games (96.4%). Later, he won more matches against other top players in the world and soon was able to be a challenger for the world championship title in 1920. Capablanca defeated Lasker in the match and became the new world champion, 27 years after Lasker had first grabbed the title. Capablanca held on to his title for some years but then a new challenger came around: Alexander Alekhine. Alekhine won this match and became the new world champion. Later in his life, Capablanca passed away while watching a game between his friends at a chess club. This happened on March 7, 1942.